SEOUL, March 10, 2017 - South Korea's 11th President Park Geun-hye was formally removed from power after the country's Constitutional Court on Friday upheld a parliamentary decision to impeach her, over a corruption scandal. The ruling by the eight-member panel opens her up to possible criminal proceedings and makes her South Korea’s first democratically elected leader to be removed from office since democracy came to the country in the late 1980s. Ms. Park’s “acts of violating the constitution and law are a betrayal of the public trust,” acting Chief Justice Lee Jung-mi said. 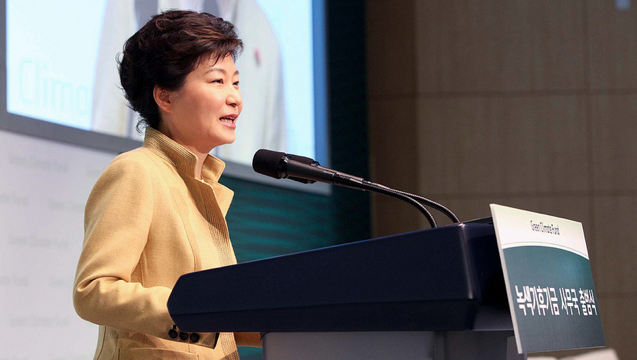 Ms. Park’s party, Liberty Korea Party, said it “humbly accepts” the ruling and that it feels responsible for her downfall. The 19th South Korean presidential election was originally scheduled to be held on or before 20 December 2017 but was moved to within 60 days window period from the date of judgment. In the meantime, Prime Minister Hwang Kyo-ahn who has been appointed as interim president is likely to face competition from Moon Jae-in for the Minjoo Party of Korea and Ahn Cheol-soo for the People's Party, neither of whom have confirmed their candidacy as of March 2017. The judgment has sparked angry protests from Park supporters in which two people were killed, police said. Park's impeachment also created an uncertainty vacuum in South Korea's political and security establishments as the country faces existential threats from perennial rival North Korea. Also, reported economic retaliation from China, as Beijing is furious about Seoul's cooperation with the U.S. on an anti-missile system - THAAD. Moreover, the questions are also being raised in Seoul about the new Trump administration's commitment to the countries' decades-long security alliance.